In the local language Talou means "ours". This co-op is giving farmers greater ownership of their produce. Nasi Tuan strongly believes that undertaking interventions to improve Rural communities’ Livelihoods must be ultimately within their own resources. Nasi Tuan has assisted coffee famers within Nuan Nipikin to form a Cooperative called “TALAO Co-op”. In the local language this simply means “Our Cooperative”.  Nasi Tuan is assisting Talao with improving coffee production as well as admin and and organisational advise and assistance to build up the capacity of the co-op. Talao Co-op is registered under the Cooperative Department as a Society Ltd.